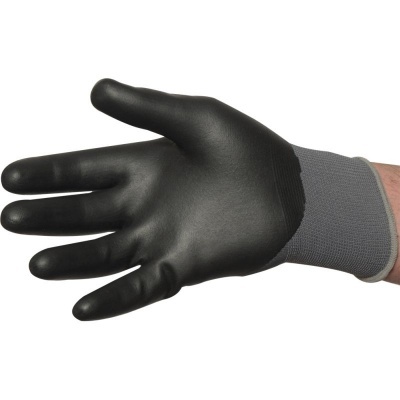 With excellent lightweight material and a grippy foamed nitrile palm coating, the UCi Nitrilon NCN-925G Nitrile Palm-Coated Gloves are ideal for general handling in wet and oily conditions. 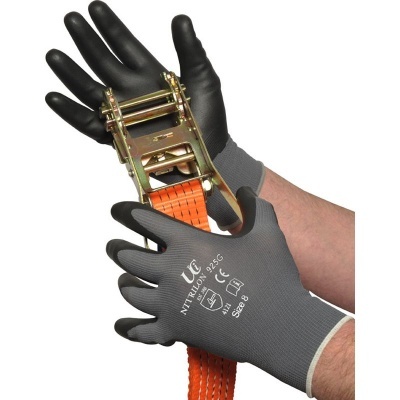 Aided with a seamless polyester liner that is soft and flexible, these gloves provide ultimate comfort over long periods of extended use. 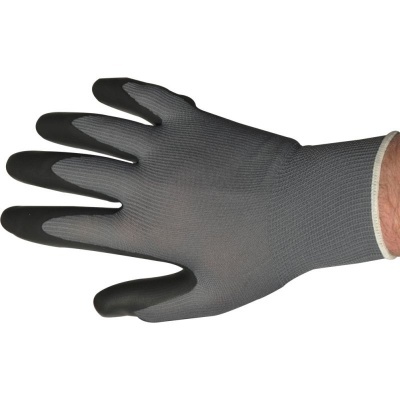 The Nitrile Palm Coated Gloves are available in four sizes that should suit the hands of most users. Please measure the circumference of your hand around the knuckles (excluding the thumb) with your hand open and your fingers together, and the length of your hand from the tip of your middle finger to your wrist.